Bill was trained to shoot on film, giving him a very solid foundation in the principles of cinematography, but was also an early adopter of digital technology and shot one of the first national television shows, ESPN’s The Life, to use the miniDV digital format for @radical.media. Bill took advantage of the small camera size and developed a unique style that he incorporates into his cinematography to this day. A recent project in which Bill used the cutting edge technology of small cameras is the extremely popular and critically acclaimed series “Comedians in Cars Getting Coffee” for frequent collaborator Jerry Seinfeld. The look and style of Comedians in Cars Getting Coffee has been widely emulated and frequently referenced by productions around the world. Bill also shoots traditional spots and promos for clients such as Apple, Twitter, IBM, Samsung, Heineken, Microsoft, Walt Disney, Chevrolet, Ford, Dodge, Volkswagen, Mercedes-Benz, McDonalds, Sprite, Wal-Mart, Electronic Arts, Chevrolet, National Geographic, Discovery Channel, and many more. These productions have won every prestigious award such as Emmys, Webbys, Clios, Lions, and Promax awards to name a few. Bill works in multiple genres (commercials, promos, narrative, documentary) and adapts his style to whatever look the script calls for whether it is high-key beauty lighting, natural lighting, or something dark and moody. He shot the award winning hip-hop documentary, Beyond Beats & Rhymes, which premiered at the Sundance Film Festival and was named one of the top 10 African-American films of the 2000’s. 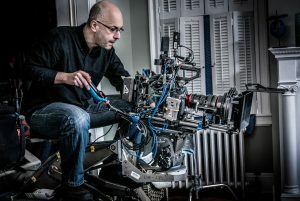 Bill’s cinematography for Chevrolet’s Silverado ad campaign was featured in American Cinematographer magazine and his work on The Oprah Winfrey Oscar Special was featured in the prestigious ICG (International Cinematographers Guild) magazine. Numerous articles have been written about “Comedians in Cars Getting Coffee” in publications such as Entertainment Weekly, The New York Times, Variety, and The Wall Street Journal. 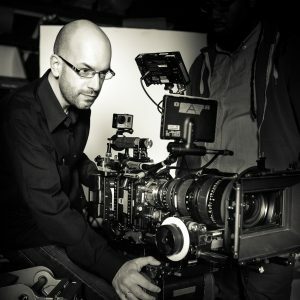 Bil is currently working on two documentaries for Netflix and Amazon. Bill frequently works on international productions with crews from around the world. His projects have taken him to the summit of Mt. Kilimanjaro, the crowded streets of Shanghai, the beaches of Australia, almost every country in Europe, the jungles of The Democratic Republic of the Congo, the coffee fields of South America, and many more places, but he always enjoys coming home to his beautiful wife and kitties in New York.